Mr. Cantu completely rebuilt and refinished our Chickering grand piano. We are amazed at the work he performed and could not be more pleased. We searched for someone who was willing and able to take on this task for over two years. The piano was originally built in the 1880s and finding parts and knowing how to recreate a quality musical instrument was not something that three or four people we contacted felt able to do. Mr. Cantu took on the task and in five months returned a magnificent piano that we are very proud of. Mr. Cantu proved to be reliable in every way and was enjoyable to work with. It was our great pleasure to see how proud he is of his work and how proud he is of his work and how seriously he wants to do a fine task. We would most certainly recommend him as a skilled professional in his field. Amazing experience! My husband surprised me with a baby grand for my 36th birthday, knowing it had been my dream to have one since I began playing at 8 years old. I was ecstatic but quickly became concerned about how I would find a piano mover. This was my dream & a big chunk of money - I would just cry if anything happened during the move. I googled & checked-out websites, placing several calls. Jones Piano House was the only one out of 6 calls I placed that answered when I called (all the others hadn't even returned my message by the time Jones had completely moved my piano). I knew a regular moving company wouldn't have the knowledge of how to truly handle pianos and after reviewing Jones website felt comforted that not only move but they know how to tune, restore, etc. 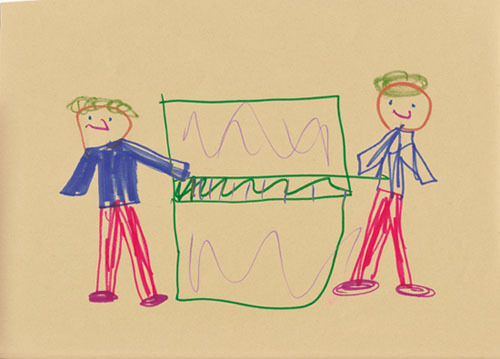 -they KNOW pianos. Steve quickly answered all of my questions with knowledge & non-pressure tactics & even set-up the move to occur as soon as 2 hours or if I needed more time could happen in 2 days! I felt compelled to watch over my "baby" so I witnessed two skilled individuals treat my "baby" with tender care even walking me through how and why they do things. They were professional, neat & conscientious of not only the piano but of the hardwood floors at both locations. I enjoyed talking to them as they were offering up suggestions on long-term care, showing me access points and talking about the history of piano making. I've since compared their pricing to others & can't believe that they don't charge more. I was so happy with their service that I had to give the guys a great tip. They're definitely worth more than they charge! I absolutely recommend them to anyone & they will be the one I call to have all my piano needs serviced!!! The change in the weather can conspire against not only your comfort level, but your piano too. Luckily, this season is a great time to get your piano in great shape. Start with regular tunings. 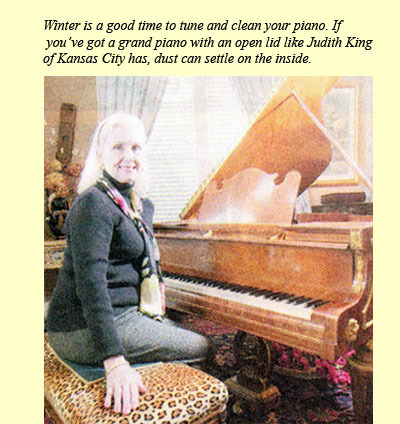 "Tune in the winter, when the piano is at its driest and coldest, and tune in the summer, when it is most humid and hottest" says Steve Cantu, owner of Jones Piano House in Kansas City. "Catch the piano at its extreme conditions." The metal expands or contracts with different temperatures and the wood expands or contracts with different humidity levels, Cantu says. 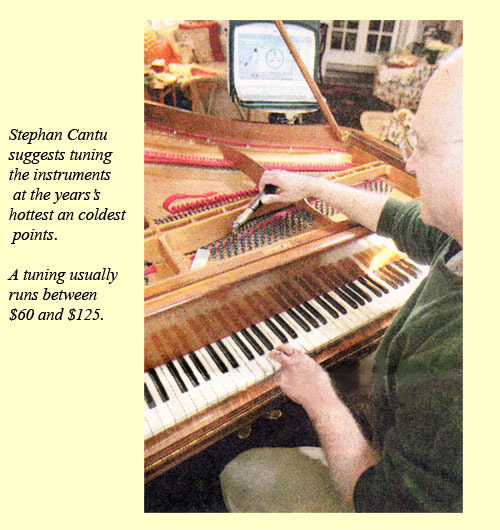 A tuning usually runs between $60 and $125. To find a technician, Jamie Deets, service coordinator at Schmitt Music in Overland Park, suggests contacting a dealer who sells your brand of pianos or the Piano Technicians Guild, an international group based in Kansas City, KS. 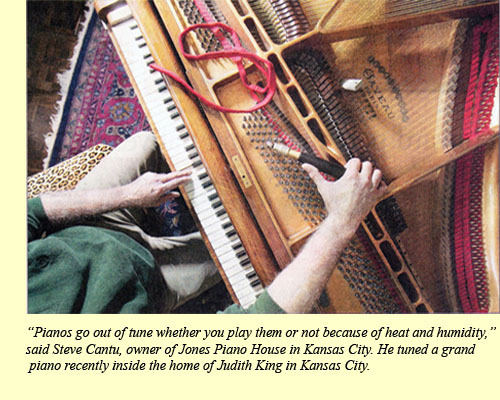 The region's humidity changes make pianos go out of tune quickly, says Wayne Yockey, a piano technician in Kansas City. Although somewhat controversial, Yockey and some others recommend installing a humidifier/dehumidifier or "damp chaser" on the piano. The device includes a low-wattage heating element to chase away humidity and a humidifier to put moisture into the piano during drier times. Damp chasers run $400 to $575. Maintenance costs $30 to $75 per visit, and they need service once or twice a year, experts say. But Deets says he has seen the devices malfunction and cause serious damage. Gerald Arbeau, owner of Arbeau Piano and piano service manager at Peirsee Piano & Organ in Lee's Summit, says the devices have improved over the years. A shut-off sensor has been added to newer models to prevent an empty humidifier from drying out the piano, and technicians must now be certified to install them. Arbeau regularly recommends the devices for grand pianos but not as much for vertical pianos, which are close to the ground and therefore less vulnerable to air changes. Deets and Cantu would prefer that an ideal room humidity level -- between 42 percent and 45 percent -- be regulated without use of a damp chaser. Once you've tackled the inside, how do you keep your piano spiffy on the outside? Advice differs by finish and technician,but there are a few constants. For routine cleaning of dust and fingerprints, use a damp microfiber or cotton cloth, Deets says. Clean along the grain. Wipe off excess water with a dry cloth. Never use furniture polish, experts say. It's not necessary and can damage the wood. If there is gum or goo on your piano, the next step for varnished, lacquered and satin (a type of polyester) finishes is to use a product without ammonia or silicone, experts say. 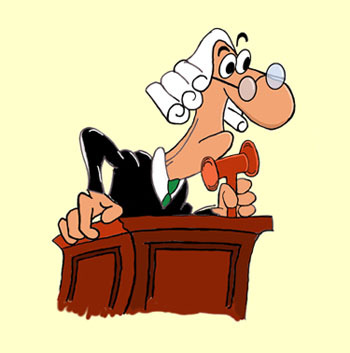 Dilute the product and spray it sparingly onto the cloth, not directly onto the piano. Rinse with a damp cloth, and follow with a dry cloth. For extra cleaning on polished, shiny ebony -- another type of polyester finish -- Deets likes detail wax (look for it at auto parts stores). Arbeau and Yockey recommend Cory Care Products, which are specifically for pianos and are sold at most piano vendors or through technicians. Treat the keys the same way you would the cabinet, Deets says, with a mildly damp cloth, followed by a dry cloth, While the tops of the keys usually are made of plastic, the sides are made of raw wood and need to be kept dry. Clean brass pedals with brass cleaner or nickel-plated pedals with nickel cleaner. What about dust that settles on the strings inside? "A professional technician should clean the inside," Deets says. "There are too many things to damage." A vertical piano almost never needs cleaning, Deets says. "But if the lid is open on a grand piano, dust settles like it does on knickknacks in the house." Have a technician clean the interior while it's being tuned, Deets says -- it might cost extra, but it's worth the money.